Hello, my name is Dr. David Waldman. I spent the course of my career as a natural healer. I’ve been extremely lucky to have had the opportunity to help many patients find their path to health & wellness. Around 2005 I had experienced bouts of lower back and leg stiffness that would come on with extended periods of weight bearing exercising, like walking or jogging on the treadmill. I noticed that overtime the distance I could walk went slowly down from 2 miles down to 100 yards and sometimes less. It got to a point that I avoided activities that involved extended periods of walking. In 2006 I woke up one day and had double vision; both of my hands were tingling. I could barely use my right hand as it resembled a claw where my fingers where stuck in flexion. My wife had to button my shirt at the time. I had to wear a patch over one eye temporarily in order to see correctly. I couldn’t recognize my own hand writing for a period of time. I went to have an MRI of my brain and neck. The doctor called me on the phone and explained that I should see a neurologist that I may have M.S. As a doctor myself I knew that there is no known cause of MS and no cure. There is only medication to slow the progression; inevitably most in the allopathic world will tell you that disability and possibly a wheelchair are inevitable. At the time I was in my early 30’s and I wasn’t settling for anything less than moving on with my career and my life. I felt a sense of calm and control at the time. Maybe it was my young age and knowledge as a doctor? I delved into natural remedies like detoxification, food & supplements. Seeking the guidance from other natural health care professionals I was able to reverse 95% of my symptoms. Aside from the tingling in my hands, I was able to regain most of my lost function. I put MS out of my mind and went on with my life. As the years went on; I would experience bouts of back pain that would have me laid up in bed for days. There were times I would get colds that would last for a month. A bout of gallstones that caused agonizing attacks of pain in my abdomen would have me doubled over in pain. I would turn to natural protocols to deal with all of my ills. It wasn’t until around 2014 that my ability to walk correctly was slowly becoming a problem. I would slowly develop a mild limp that would make walking challenging. I had put MS out of my mind years prior. I thought it maybe my back and had a few MRI’s of my lower back. I tried PT, Chiropractic to little avail. I decided to see a Physiatrist. This doctor did a thorough exam, looking at my low back MRI’s, watching my walking, lack of balance the doctor exclaimed “It’s definitely not your back, I don’t know what it is but I think you should see a neurologist. When I left that office, I broke down in the car to my wife because what I had put out of my mind for years had reared its ugly head, MS would change my life going forward. I was able to hide and live with the little nuances that MS had caused, like tingling in my hands, occasional colds. Once it starts to affect the way you walk it makes it increasingly harder to hide what was always an invisible condition to others. As a doctor, patients would turn to me for answers to their problems. Meanwhile I was living in a body that was turning on itself and making it harder for me to work, let alone help others pursue health and wellness. 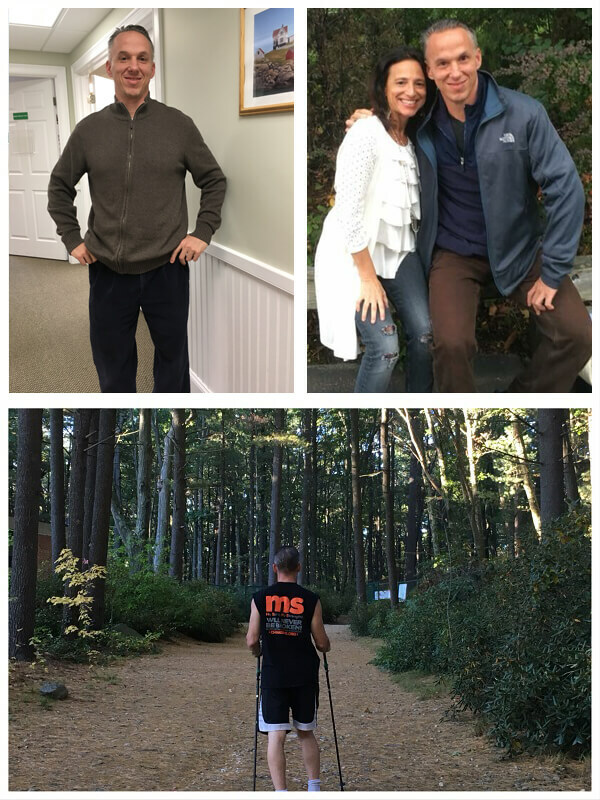 Myself, my wife, even my mother researched natural cures for MS. We came across different doctors and their bodies of work. 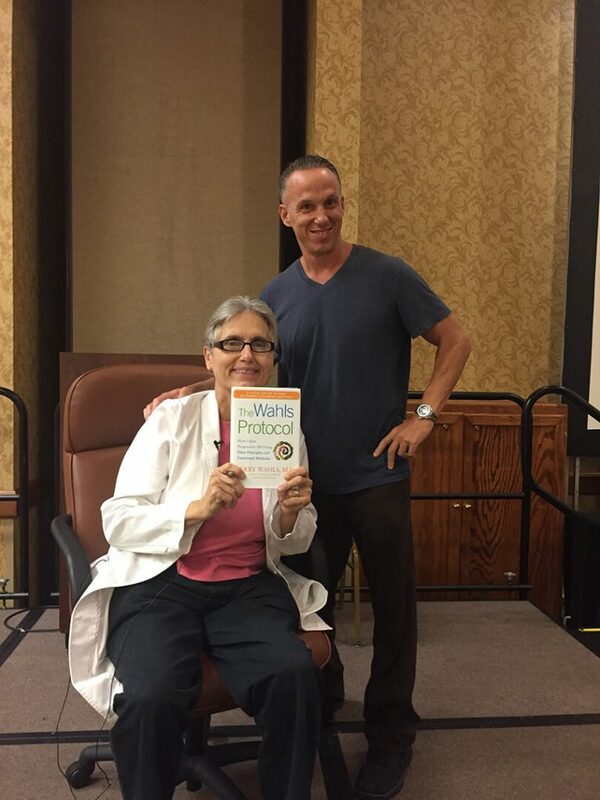 One person stood out, that was Dr. Terry Wahls and the protocol she designed which helped her reverse years of destruction on her body leading to secondary progressive MS. Progressive meaning according to the main stream, there is no coming back. She was able to go from wheelchair to riding her bike for many miles! I was impressed with her Ted Talk “minding your mitochondria” that I purchased her book “The Wahls Protocol”. I would go on to study functional medicine in depth, to not only help myself but others that are lost and have no where to turn. I founded “The Healthy Detour”, a virtual practice where I utilize a blend of all of my expertise in nutrition, exercise physiology, functional medicine & as a Wahls certified practitioner to help guide the patients back to optimal health. I realized first hand that one’s health can veer off course and a system is needed to help the body prioritize and maximize healing in order to thrive and prosper in life. I’ve custom designed specific products & programs that allow people to take control of their health, life, & business. 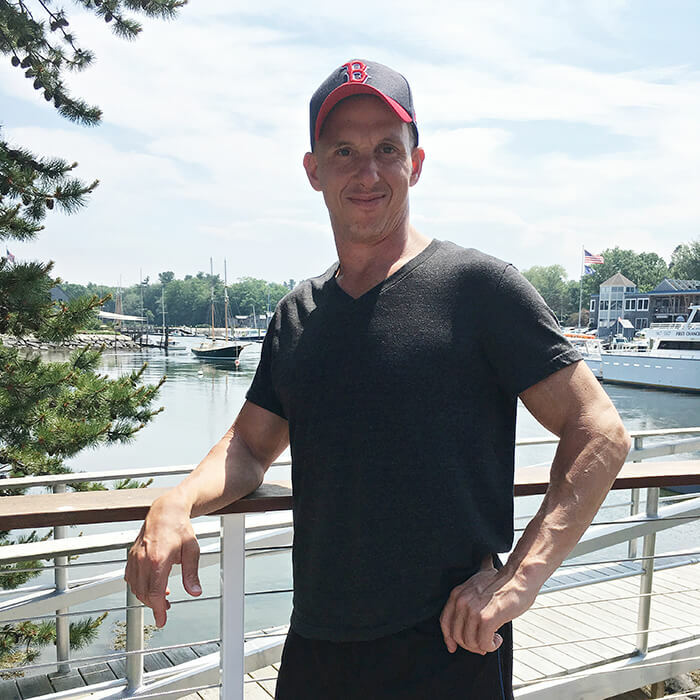 Our programs offer do it yourself guides or our signature group coaching programs give you the tools that I only wished were at my disposal when my health took a downward spiral. If you feel like your health, life and your business are taking the wrong turn consider allowing me to guide you on a Healthy Detour to optimal health & a renewed purpose for life.